Jon Adams describes himself as half banker, half entrepreneur. 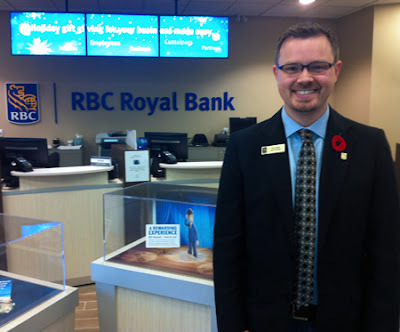 A graduate of the Douglas College Commerce and Business Administration program, Jon is manager at the new RBC Retail Store in Port Coquitlam’s Fremont Village Shopping Centre. 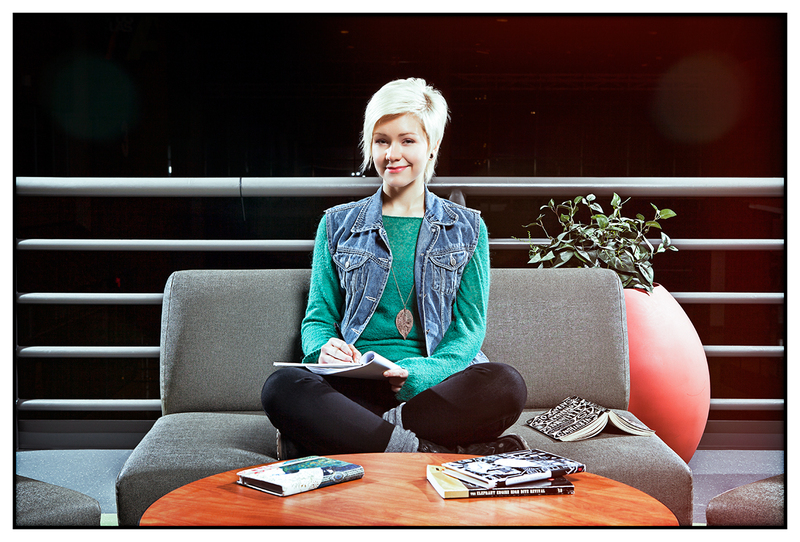 Steph Toth, social justice advocate and creative writing student. She’s volunteered in the Downtown East Side of Vancouver, the South Bronx in New York, and a Manhattan soup kitchen. She’s written poetry and prose, and has participated in slam poetry and spoken word events. She’s also the volunteer coordinator for Christmas Haven, a Maple Ridge group that provides a Christmas Eve gathering for people who would otherwise be alone. Now, she’s bringing all of her experience together into a new career. Steph is currently finishing up her Associate of Arts in Creative Writing at Douglas, and will be transferring to the University of Victoria next year where she’ll pursue a Degree in Creative Writing with a minor in Social Justice. “The roots of spoken word and Def poetry are in social advocacy, so I’m going to find a way to incorporate that into what I do,” she says. She credits her instructors at Douglas with giving her the confidence she needed to move forward. An elderly woman falls at Douglas College. Health Care Support Worker students rush to her side, and soon paramedics are on the scene to treat the woman and take her safely to hospital, where she's attended to by ER nurses. 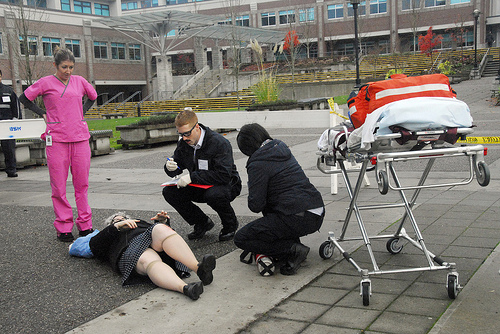 It's not exactly a plot line for Grey's Anatomy, but for Health Sciences students at Douglas and primary care paramedic students from the Justice Institute of British Columbia (JIBC), it was an invaluable chance to learn how to collaborate in health emergencies and mental health crises. 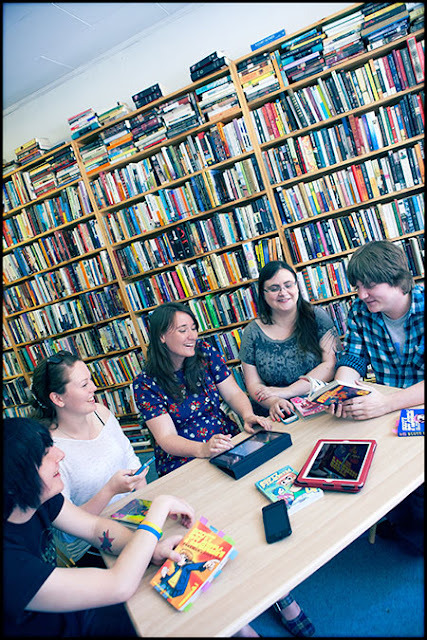 This week at Douglas: concerts galore, study in wales, alumni marketplace and more! Earn 9 credits in 8 weeks; live, study and travel in Wales! Program dates: May 6-July 1. More info: contact Karen Ng. Cindy A. says the best part of her job is building relationships with kids and seeing them succeed. The Douglas College Child and Youth Care student works with at-risk teenagers – at-risk meaning they may be struggling with drug problems, family issues, relationships, peers, school, mental health issues or other concerns – at a high school in Surrey. “I’m here to support them, counsel them and help them make positive choices and support them as needed,” Cindy says. This week at Douglas: Donate your calories, study in Wales, cheer on the Royals and more! Award-winning playwright, author and pianist Tomson Highway performed at Douglas College last week to a packed house. Highway - whose play The Rez Sisters runs at the New West Campus till Saturday - took a few minutes to chat with doug about his love of languages, his hatred of being told what to do and exactly who should be mounting his plays. Got a big goal but scared you won’t meet it? Natasha Ali understands. If the Chemistry student were to star in the fable of the hare and the tortoise, she’d be the tortoise. In high school, she had a tough time keeping up with the boys, who dominated her chemistry class. Natasha brought her methodical approach to Douglas, where she won a national chemistry award. 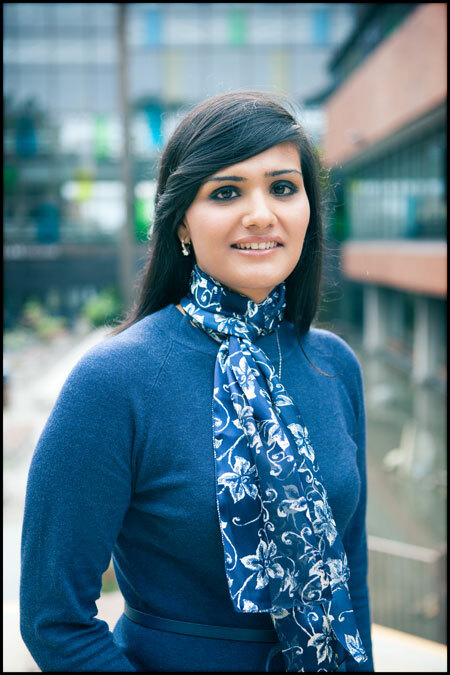 She’s taken two years of chemistry here and is heading off to UBC, where she plans to get a bachelor of education degree before entering medicine or pharmaceutical sciences. 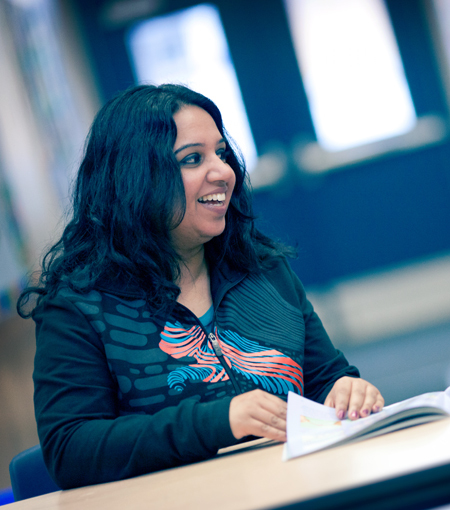 Find out more about studying Chemistry at Douglas College on our website. 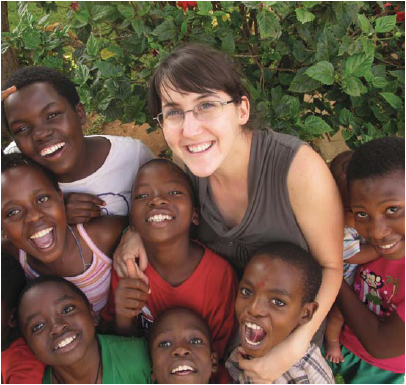 Read more inspiring stories about our students and instructors in our new viewbook. Need to prove you're a Douglas student? It's easy! Have you ever been asked by your employer, bank or other institution to prove you are a student at Douglas College? The document you must provide is called a Verification of Enrolment (VOE). Why would I need a VOE? You need a VOE to access money from an RESP, for medical insurance purposes, to get a child care subsidy, for a trust fund money release and for many other reasons. How do I print my VOE? 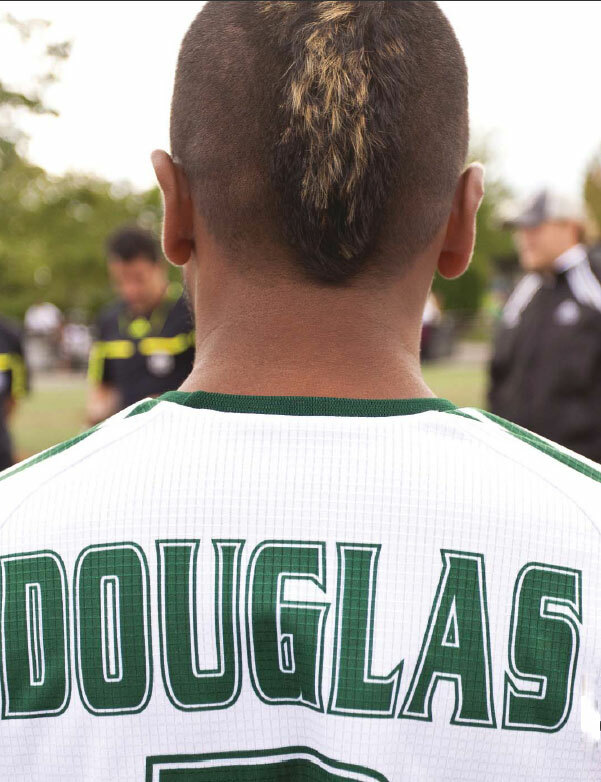 This week at Douglas: see a film premiere, play basketball, learn about the music biz and more! Join music industry veteran and instructor Graham Way for a FREE Information session about the Music Business program "Your Career in Music" at the Douglas College Community Music School. Register by email. Test your brain; support the Uganda Project at Quiz Night Nov. 22! Think you know it all - or at least enough to be a trivia champ? Douglas College is holding its second annual quiz night Thursday, Nov. 22. This is your chance to show off what you know and support a great cause - the Uganda Project - at the same time. Buy your tickets ($20 per person) from the Douglas College Library or from Janice Spencer or Diana Stewart. All proceeds go toward helping sending Douglas students to Uganda. You'll also have the chance to win prizes and shop the silent auction table. Costumes are encouraged; smartphones are not - so leave 'em at home! For more information, email Janice Spencer. Looking for a little enlightenment in your entertainment? How about possible controversy? If this sounds intriguing, come see The Rez Sisters Nov. 9-17 at Douglas. Written by Cree playwright Tomson Highway, The Rez Sisters about seven women, each wrestling with personal demons, on a native reserve in Ontario, who dream of attending (and winning) "The Biggest Bingo in the World." 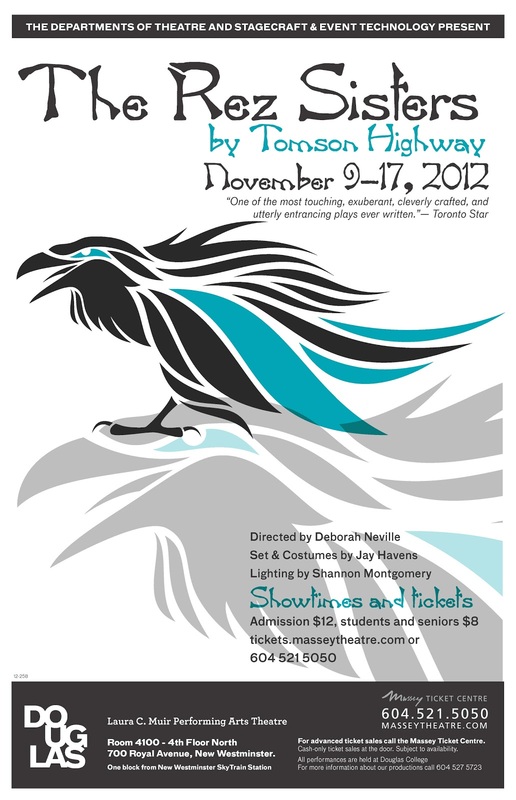 It is of one of the most famous and influential First Nations plays in Canada. 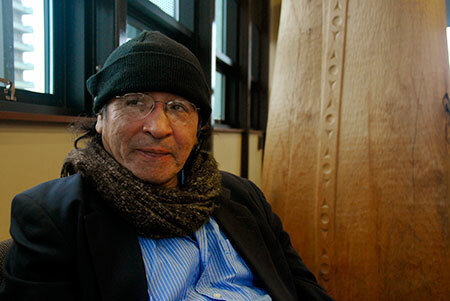 Douglas is putting on the play using a cast of almost exclusively non-aboriginal actors. This is where the "possible controversy" comes in. First performed 1986, The Rez Sisters opened to critical acclaim and sold-out houses. But since then it has rarely been staged, notes Deborah Neville, director, because many theatres are afraid to take the risk of casting non-aboriginal actors in aboriginal roles. "There was this slippery feeling that you needed to cast First Nations people in order to get the proper First Nations voice," Deborah says. So there was this dry period where this beautiful thing went on ice because nobody would touch it." Two of the actors and the set and costume designer in the Douglas College production have some aboriginal lineage. The rest are non-aboriginal. 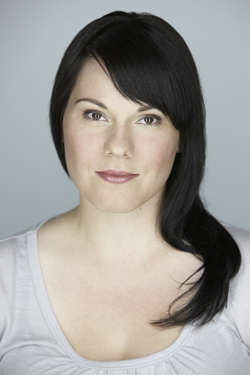 To prepare for the production, Deborah and the cast have been doing historical research, meeting with aboriginal groups to become more familiar with First Nations cultures, learn some dance and take a crash course in Cree. Deborah says she had no qualms using a colour-blind cast. "I watched an interview with Tomson Highway where he was encouraging non-aboriginal theatre companies to ‘get on it, put the play up, do it.' For me, that was my way in. It was permission." Deborah says theatre is, more importantly, about "digging around and finding out who people are, and why." "That's the reason I go to the theatre - to get a deeper understanding of what it's like to be somebody else, someone whose life is perhaps very different to mine, and to really experience life through their eyes. It's quite simply, and perhaps quite profoundly, a chance for one human to understand another." The Rez Sisters runs Nov. 9-17 at Laura C. Muir Performing Arts Theatre, Douglas College, 700 Royal Ave., New Westminster. Tickets ($8-$12) are available through the Massey Theatre, 604 521 5050. This week at Douglas: Douglas hosts the CCAA Men's Soccer Nationals, The Rez Sisters premieres and more! The Cree author of award-winning plays The Rez Sisters and Dry Lips Oughta Move to Kapuskasing and novel Kiss of the Fur Queen takes to the stage for an evening of song, storytelling and more. Free. More info on doug; email Nassi Soofi to reserve seats. Join Dan Cardona, audio engineer and instructor, for a FREE information session about the Audio Engineering program at the Douglas College Community Music School. The departments of Theatre and Stagecraft & Event Technology present The Rez Sisters, play by Tomson Highway directed by Deborah Neville. Admission $12, students and seniors $8. Showtimes and tickets: Massey Theatre, 604 521 5050. 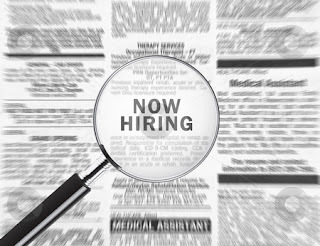 Curious about how your interests match with different careers? Want to learn strategies for career planning and complete an interest inventory? Come to this FREE interactive workshop. 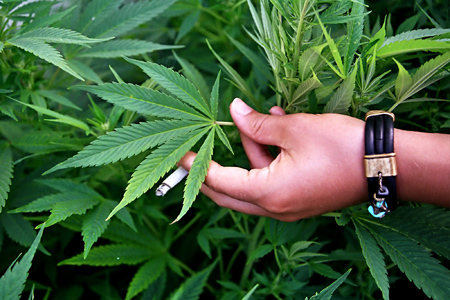 Three quarters of British Columbians now think marijuana should be legalized, a new Angus Reid poll reports. Read what Douglas instructor and former B.C. attorney general Graeme Bowbrick had to say about the issue on doug last winter - and tell us what YOU think!